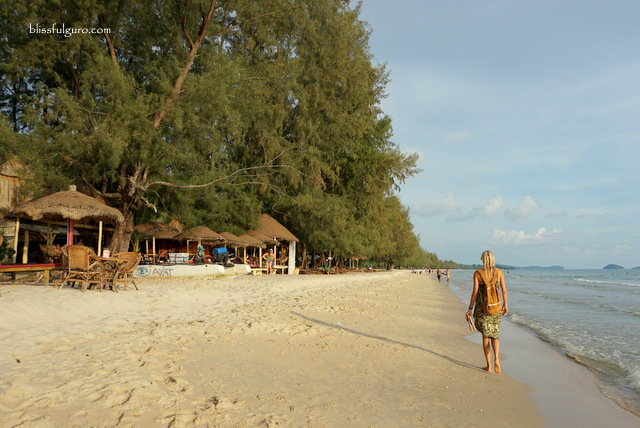 It was a quiet stroll along the four-kilometer stretch of Otres Beach in Sihanoukville. My buddy was taking photographs of local kids who were busy on their afternoon playtime when I noticed an intense glow from the heavens. The sun was slowly dipping lower down the horizon that radiated a fiery sky, the best I've seen on this trip. Cambodia has once again showed off with its breathtaking sunset. 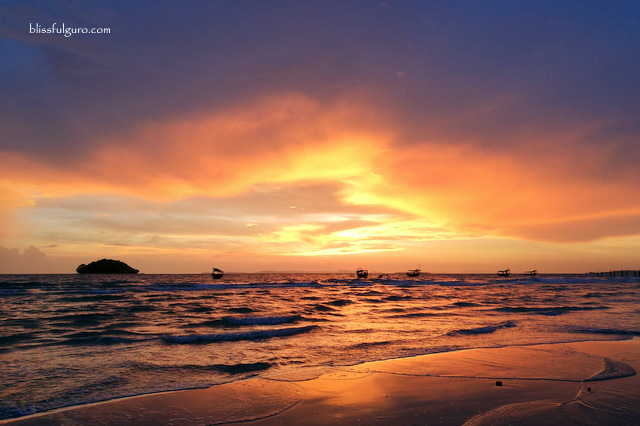 Sihanoukville wasn't originally on the itinerary for our two-month summer backpacking trip, Same Same Summer Trip 2017, where we traveled to some of our favorite countries in Southeast Asia (Malaysia, Cambodia, Thailand and Vietnam). 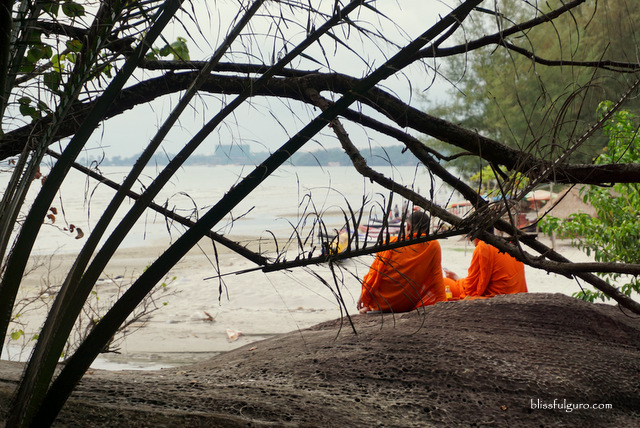 But after hearing a friend's desire for Sihanoukville’s chill beach vibe, we instantly made it as our final stop in Cambodia after exploring Siem Reap and Phnom Penh (check here for discounted tours, transportation and activities in Phnom Penh). The seven-hour train ride from Phnom Penh to Sihanoukville ($7) was a comfy one. We could've taken the easier four-hour bus ride ($6 to $12) but endured the longer route because we're suckers for local train rides, plus the fact that we had so much time. A super tuk tuk (yes, that's what they call it) was arranged by our resort, Penguin Pablo Bungalows, which made it a lot easier to get to Otres Beach. There were many drivers offering shared rides to passengers right outside the train station so getting to the town center will never be a problem. Sihanoukville (Krong Preah) is a coastal town on the southwest part of Cambodia. 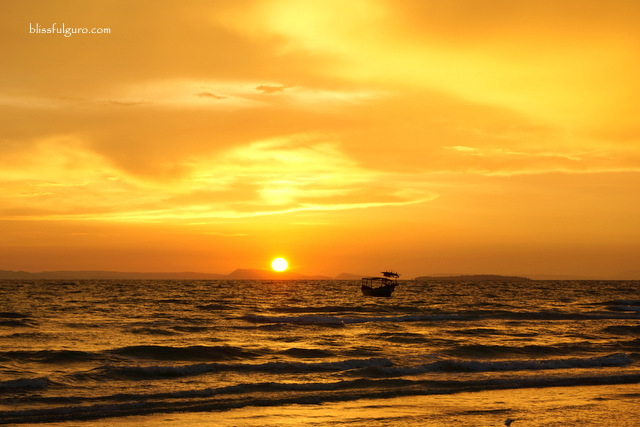 Located along the coast of the Gulf of Thailand, it is considered as the country’s premier beach location. 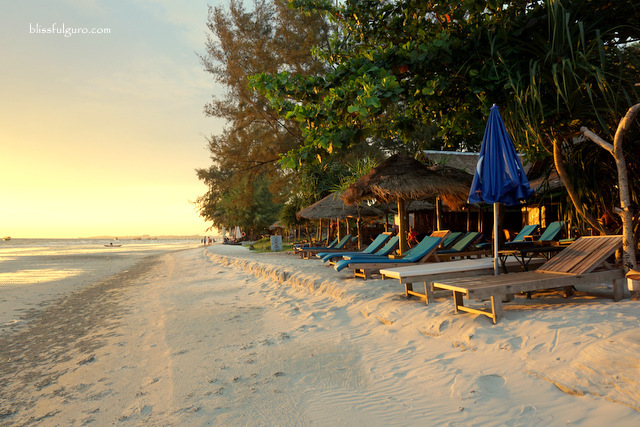 Accommodations in Sihanoukville are concentrated near the beach area. You could find hotels, guesthouses, bungalows, hostels and backpacker dorms along the famous beaches in the town including Ochheuteal Beach, Serendipity Beach, Otres Beach and Victory Beach. 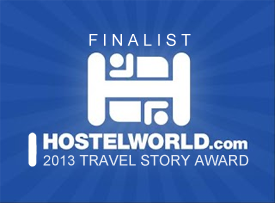 We narrowed our options on where to stay in the areas of Otres Beach 1, Otres Beach 2 and Ochheuteal Beach. We both fell in love with the laidback feel of the former so we decided to settle there during the course of our five-day stay. Otres Beach lies on the quiet area of Otres. Getting there is a bit of a challenge though. Located five kilometers away from Sihanoukville's town center, a tuk tuk ride will set you back at $4 to $6 per way. Ours wasn't a beachfront accommodation and is located in the middle of Otres 1 and Otres 2, some dubbed it as "Otres 1.5". Motorbikes are easily rentable but we opted for a walking trip every day for five days. Wherever our feet led us, we went. Its quiet community is perfect for slackerhood. We'd wake up whenever we felt the need to and would walk to Otres Market where we'd have breakfast which takes around five minutes. We always get the typical rice+fried eggs+fried pork+soup combo from a local shack ($1.50) and get our daily supplies from the minimarts afterwards. This was our routine for almost a week that the moment we'd get inside the eatery, the servers would know right away what we wanted. After which, we'd come back to our bungalow, do a little bit of laundry and lounge at the in-house restaurant as we catch up on our writing gigs. At noon, we would decide on where to go and what to do. Some days we'll have siesta while on some, we'd have a leisurely walk on the shore. The beach is a mere five-minute walk from our home. The long stretch of ivory sand beach is home for locals who were having picnics or afternoon beer session as well as tourists who were perfecting their bronzed skin. 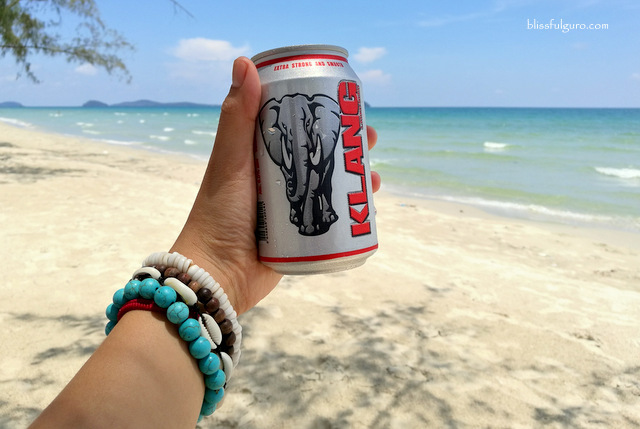 We'd lay our beach mat underneath a tree, bring out our beer stash from a nearby minimart (Klang Beer at $0.50 each) and would laze away all afternoon. Life can never be as easy as this. In those days, we explored the stretch of Otres Beach which was always serene and devoid of party crowd. 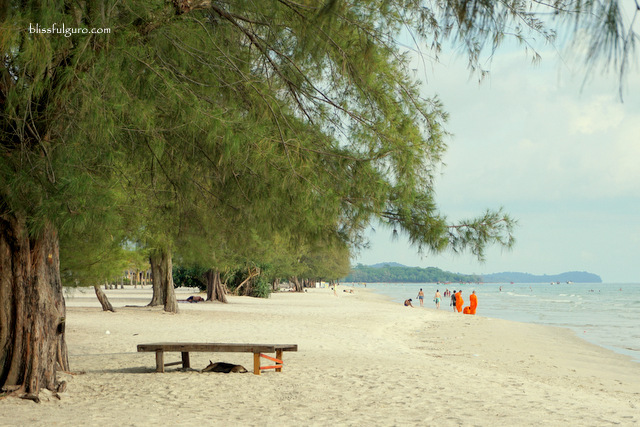 We were too captivated with the laidback feel of Otres that we didn't even bother check the most famous beach in Sihanoukville, the Ochheuteal Beach. We'd come back home at dusk when the beach turns into a deserted paradise. By that time, we would be lazy to check out the beach party scene at night on Otres 1. We'd then have dinner at Penguin Pablo's Restaurant and chug a glass or two of Kingdom Beer before calling it a day. In those days, we never felt bored, tired or anything. It was as if we were on a retreat that our daily routine felt like an unintentional detox from our normal stressful everyday life. We never watched TV for five days (our room didn't have one) and we didn't even have a night of beach party, and yet, we had the best peaceful days on our backpacking trip.